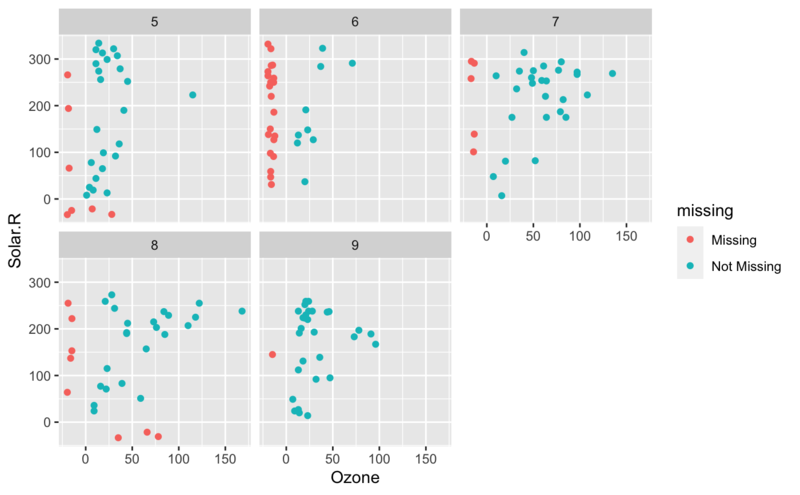 geom_miss_point provides a way to transform and plot missing values in ggplot2. 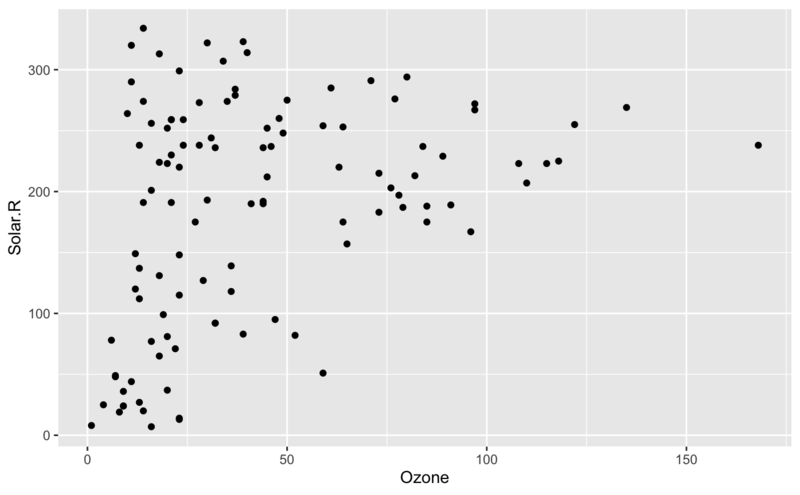 To do so it uses methods from ggobi to display missing data points 10% below the minimum value, so that the values can be seen on the same axis. 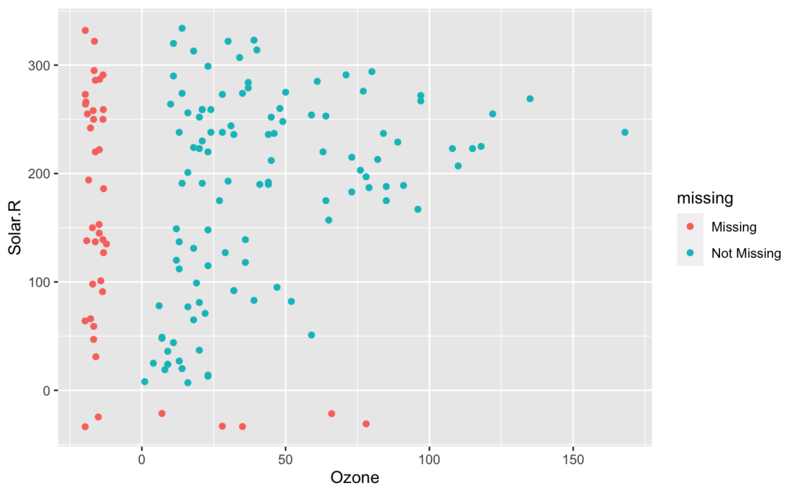 Set of aesthetic mappings created by ggplot2::aes() or ggplot2::aes_(). If specified and inherit.aes = TRUE (the default), is combined with the default mapping at the top level of the plot. You only need to supply mapping if there isn't a mapping defined for the plot. Aesthetics: to set an aesthetic to a fixed value, like color = "red" or size = 3. Warning message if na.rm = T is supplied. #> Warning: Removed 42 rows containing missing values (geom_point).